There is no larger health insurance program in the United States than Medicare. According to the Centers for Medicare & Medicaid Services, more than 57 million people were receiving health benefits through the program as of March 2017. But just because millions are on Medicare doesn't mean that most people, especially those who have yet to hit 65, understand how this government program works. Most people instead believe several easily debunked myths about what Medicare does, how financially healthy it is, and what it doesn't do. You might worry that Medicare won't be around to cover your health care needs by the time you retire. Here's some good news: Medicare is not broke ... yet. The Medicare program had about $200 billion in reserves at the end of 2015. So the program does have money. There is some concern, though. Medicare is projected to run a surplus every year through 2020, when a growing number of Baby Boomers will start retiring. This means that Medicare will then run at an annual deficit beginning in 2021. If nothing is done to prevent this, the program will exhaust its reserves by the year 2028. That will be a big problem if it is allowed to happen. There are possible solutions, though, even though they will require some financial pain. The most obvious one would be to raise Medicare taxes. That won't make anyone happy, but it is the simplest way to ensure that Medicare does have enough dollars to cover all of its beneficiaries. Medicare is a complicated system. In fact, there are actually four types of Medicare coverage. 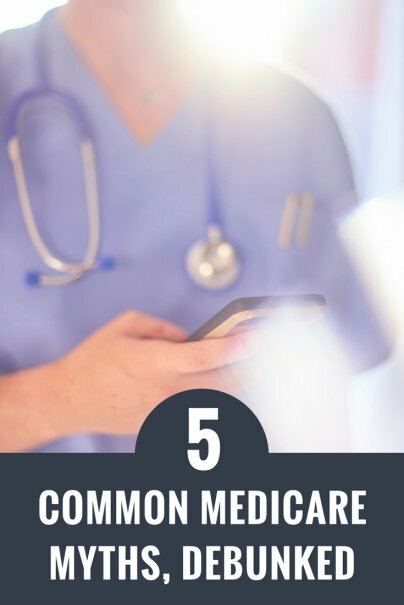 Medicare Part A and Part B are part of what is known as original Medicare. Medicare Part A, known as hospital insurance, covers inpatient care received at hospitals and nursing facilities. Part B covers services and supplies that you need to treat health conditions. This part of Medicare covers outpatient care, preventive services, ambulance rides, and medical equipment. Medicare Part D subsidizes the cost of your prescription drugs. This part of the program is often referred to as the Medicare prescription drug benefit. Medicare will cover much of your health insurance needs. But there are some costs that you'll still need to cover on your own. For instance, Medicare does come with deductibles that you must pay before the insurance kicks in. These deductibles can change each year. For 2017, Medicare Part A comes with a $1,316 deductible per benefit period for your hospital stays. This means that if you do end up in the hospital, you'll have to pay this amount out of your own savings before Medicare will cover the rest of your expenses. Medicare Part B has a deductible of $183 for 2017. Again, you'll have to pay this amount before your Medicare coverage kicks in. And even after Part B coverage begins, you'll still have a copay. Medicare Part B generally covers 80 percent of your medical services. You'll have to cover the remaining 20 percent of these costs on your own. There are also coinsurance payments. If you must stay in a hospital for more than 60 days, you'll have to make a coinsurance payment for your Medicare Part A benefits. There are some medical services that Medicare does not provide any coverage for. Unfortunately, these services aren't exactly frivolous ones. Medicare does not provide dental coverage. It also doesn't pay for vision examinations for glasses. You can't rely on Medicare to cover the costs of dentures or hearing aids. And if you need long-term care, Medicare again won't provide coverage. Most people won't pay any monthly premiums for their Medicare Part A coverage. That's the good news. The bad news? You will pay a monthly premium for Medicare Part B. As of 2017, the Part B premium stood at $134 a month. Medicare, though, says that most people who get Social Security benefits pay less than that, for an average monthly premium of $109. This premium is usually deducted directly from your Social Security benefits. You won't be writing a check each month, but you'll still be paying for that Part B coverage. You'll also have to pay a premium each month if you elect to sign up for a Medicare Part C plan. These premiums will vary depending on your plan. Medicare Part D comes with a monthly premium, too, though this will vary according to your specific plan.